Hundreds of industrial facilities across Texas are illegally spewing millions of pounds of toxic pollutants into the air each year when they break down or perform maintenance, according to a new report. Hundreds of industrial facilities across Texas are illegally spewing millions of pounds of toxic pollutants into the air each year when they break down or perform maintenance, and state environmental regulators are not adequately policing the rogue emissions, according to a new report. The report by the Washington, D.C.-based Environmental Integrity Project and Austin-based Environment Texas — titled “Breakdowns in Air Quality” — found that 679 facilities from the Beaumont/Port Arthur area to rural West Texas emitted more than 68 million pounds of sulfur dioxide, nitrogen oxide, benzene and other toxic substances last year during more than 3,400 incidents of breakdown or maintenance. The organizations compiled the report by analyzing emissions reports in online databases maintained by the Texas Commission on Environmental Quality, the state’s environmental regulatory agency. The report asserts that the vast majority of the 2015 emissions were illegal because they exceeded the maximum emissions facilities allowed under their state and federal air permits. Companies have argued, however, that emissions during maintenance, start-up and shutdown events aren’t illegal and that they do everything necessary under federal and state law to minimize the breaches, which they say are unavoidable. "To characterize TCEQ’s environmental enforcement as “hands off” is patently untrue and misleading to the public," the agency said in a statement. "TCEQ consistently pursues administrative, as well as civil enforcement, against non-compliant regulated industries in accordance with a vigorous, clearly articulated regulatory framework." The report found that facilities in the Houston area accounted for the largest share of 2015 emissions, discharging 5 million pounds of pollutants. Dow Chemical’s plant in Freeport accounted for the highest share — nearly 1.3 million pounds. The facility with the single highest emissions rate in the state was Keystone Gas Plant in West Texas’ Winkler County, the report says. In 2014, that plant emitted 11 million pounds of sulfur dioxide, which causes smog. Its air permit limits sulfur dioxide emissions to 1.6 million pounds of sulfur dioxide. "As part of our ongoing commitment to operate our facilities in the safest and most responsible manner possible, we are in regular contact with appropriate regulatory agencies,” said Southern Union Gas Services, the plant’s owner, in a statement. "The health and safety of the community and our employees, and the protection of the environment are our top priorities." State penalties for such emissions events are too infrequent and too low, the report says. “Fines imposed by the state are often very small in comparison to the cost to public health and the profits generated by the industry,” it concludes. 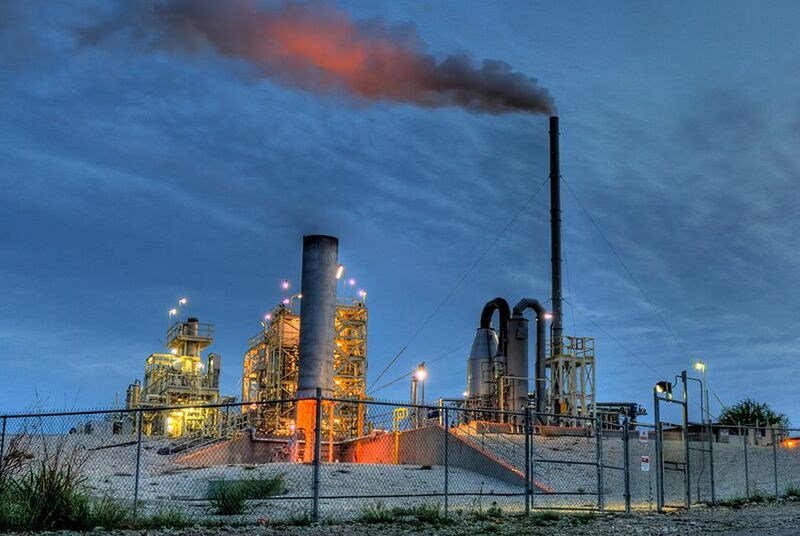 "Contrary to the assertions in EIP’s report, Texas does not allow industries to release excess amounts of air pollution when old and poorly controlled equipment breaks down and when facilities undergo maintenance work. Rather, TCEQ has a multifaceted approach to minimize emissions from maintenance activities and upsets (malfunctions)," the agency said. Environment Texas and other environmental groups have sued companies directly in recent years over such emissions events, citing inaction from state and federal environmental regulators. Disclosure: Dow Chemical has been a financial supporter of The Texas Tribune. A complete list of Tribune donors and sponsors can be viewed here.